CENTRAL CITY- William D. (Bill) Gossett of Central City died Friday, March 1, 2013 at the age of 81. He was born July 18, 1931 in Graham, Ky. To Henry and Gerine Dorris Gossett. 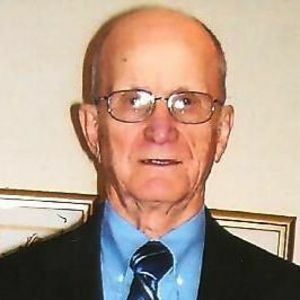 He was retired from TVA and First Kentucky Bank, was a member of the First Christian Church in Central City where he served as Deacon, Elder and Board member for many years. He was a Korean War veteran. He was preceded in death by his parents, brothers Don, Ebbie and Teddy Gossett and cousin Roy Gossett. He is survived by his wife of 57 years, Barbara Murphy Gossett, daughters, Susan (Mike) Nelson and Sara (Keith) Hobgood both of Central City. Four grandchildren, Lori (Matt) Corne of Evansville, IN., Jonathan Nelson, Ashley Nelson and Larra (Chris) King all of Central City. Eight great grandchildren, Jacob, Jayden, Emma and Addison Nelson, Gavin and Katelyn Corne, Dawson Trent and Christian King, three step grandchildren, Brad(Mandy)Hobgood, Amber Hobgood and Brett Hobgood and three step great grandchildren Paige and Kinley Hobgood and Jayden Hobgood, one sister, Mayme Nell Noffsinger of Powderly. Services will be held Monday March 4, 2013 at 11:00 AM at Tucker Funeral Home in Central City with the Reverend Bob Lowery officiating. Burial following in Rose Hill Cemetery. Visitation is Sunday from 5:00 PM to 8:00 PM and after 9:00 AM Monday at the funeral home. The beautiful and interactive Eternal Tribute tells William D. 's life story the way it deserves to be told in words, pictures and video. I am so very sorry about your dad and husband. He was a wonderful man. I can't imagine your pain at this time. Sara, I am so sorry I was unable to be with you last night or today. I will see you very soon. Just know I love you forever and am praying for you constantly. Alice and I send our sympathy to Barbara and all the family, as well as to our First Christian Church family. I always appreciated Bill's caring for me when he knew I was going through a rough time. He seemed to sense those times and give me a call or drop by to say hi.